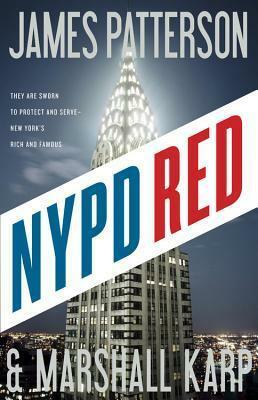 NYPD Red is the first in a series of detective novels set in New York and written by James Patterson and Marshall Karp. I’ve read and enjoyed a number of Patterson’s Alex Cross novels in the past, but hadn’t come across Marshall Karp before, so was intrigued to find out how the collaboration between the authors would work. Zach Jordon works for the High Profile Victim Response team, otherwise known as NYPD Red. This is a special task force set-up to investigate crimes related to the rich, powerful and famous. Specifically, that means billionaires, sports stars, and the show business elite. After Zach’s partner suffers an unfortunate accident, breaking his ankle while playing for the NYPD softball team, he is assigned a temporary partner, the beautiful Detective Kylie MacDonald. Zach and Kylie have a history. Not only did they attended the police academy together, but Kylie is Zach’s ex-girlfriend. It’s Hollywood on the Hudson week, and there's an influx of high profile celebrities in town, so NYPD Red is on high alert, ready to protect and serve all of the beautiful people. The week starts off badly, with the death of a powerful movie producer during an early morning breakfast meeting at an exclusive hotel. Initially, the cause of death is thought to have been a heart attack, but rumours are rife that the producer has been poisoned. Zach and Kylie have only just started questioning witnesses when they are interrupted by a call from their Captain, who has news of another death. This time there’s no question, it’s a definite homicide, the shooting of an actor on a movie set, and it’s all been recorded on film! Zach and Kylie now have two deaths to investigate, and it’s only the first morning of Hollywood on the Hudson. The story is told mostly from the perspective of Zach, and is written in the first person, which I liked. The authors drop into the third person when Zach is not present, and I thought this was a good device to give the reader essential information that Zach wouldn't know. For me, in many ways, this was the perfect novel. With over one hundred chapters, the story moved along at an astonishing pace. Each chapter was cleverly compartmentalised and brought action, intrigue, plot twists, (a bit of) character development, humour and some snappy dialogue to the story. As I got further into the book I couldn’t help but think that it would make a good movie! NYPD Red was a real page turner and I very much enjoyed reading it from start to finish. I'm also very much looking forward to reading the next novels in the series, and hope the authors continue collaborating with each other well into the future.